I created this HIV retrovirus animation using Lightwave 3D v. 11 from Newtek. 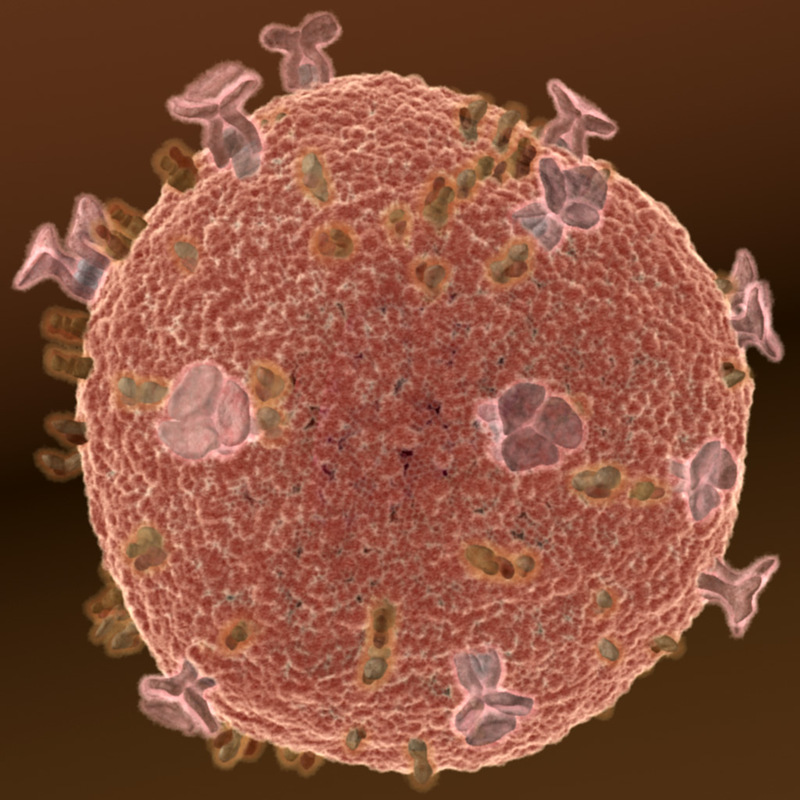 HIV looks like a World War I water mine. That's what it is. It just floats around brainlessly hoping to bump into a cell with a doorway it can open. The large suckers are GP120, they connect the virus to the host cell's docking port. Inside each trio of suckers is a harpoon which forces the victim cell's port open. The little brown nubs are left over from the skin of the infected white blood cell. When the immune system senses these little nubs it ignores the virus, thinking it is another white blood cell. Within two hours the virus falls apart because the coat it is wearing belonged to a white blood cell. So although pretending to be a T-cell is a powerful feature the effect doesn't last and viruses must be made in the jillions to compensate. This encourages sloppy replication which encourages evolutionary diversity which helps make the virus resistant to up to two drugs at once. But each virus is messily mass produced. If you look closely you'll see a GP120 that is "broken."